A trust is a legal arrangement that enables a third party, also known as a trustee, to handle a person’s assets on behalf of a specific beneficiary or heir. A person who creates a trust is often legally referred to as a trustor, settler, or grantor. Trusts can be prepared in numerous ways. They can outline exactly how and when specific assets are to be passed on to your heirs when you die, or even before you die. Trusts are very useful estate planning tools as they provide much flexibility and even creativity – with a level of control that a will does not have. An example would be if you wish to leave funds or property to a child, grandchild, or even to a charity organization. You might create a trust in which a certain amount of money will be held by a financial institution upon your death, to be distributed to your son on his 21st birthday (commonly referred to as a trust fund). If you wish to ensure that your child remains financially secure throughout adulthood, you may instead specify for the funds to be distributed to him in annual increments until a certain age. Traditionally, trusts are used to minimize estate taxes. They do, however, also offer other benefits as part of a comprehensive estate plan. Understanding the different types of trusts is key to meeting your estate planning goals – whether they are to avoid probate, give to charity, reduce estate taxes, transfer wealth to your beneficiaries, or protect your estate from creditors and lawsuits. There are basically two types of trusts: a living trust and a testamentary trust. A living trust or inter vivos trust takes effect while the decedent is still alive. A testamentary trust, on the other hand, may be created according to the terms and conditions stated in the person’s will, but will only take effect upon his or her death. Living trusts may be classified as either revocable or irrevocable. Revocable trusts enable you to retain control of all your trust’s assets, and leave you free to change or revoke the trust’s terms at any given time. Irrevocable trusts generally transfer your assets out of your estate and potentially out of the reach of probate and estate taxes. Once you establish an irrevocable trust, however, it cannot be amended, altered, or terminated. There are many types trusts (and wording of trusts) that apply to certain situations such as a living trust, special needs trust, bypass trust, land trust, grantor trust, blind trust, revocable trust, irrevocable trust, special needs trust, mental illness trust, schizophrenia trust, testamentary trust, marital trust and more. 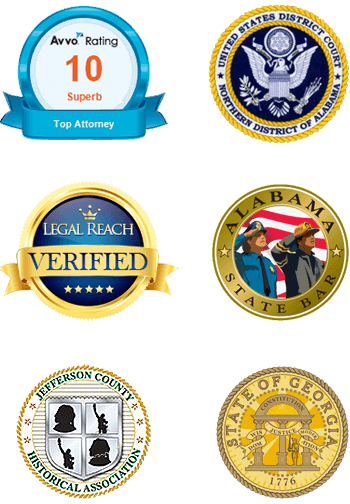 It is best to consult with a knowledgeable Alabama trust lawyer to determine the best type of trust for you. When establishing one or more trusts, you must determine who will manage your trust’s assets. Depending on the type of trust involved, some people opt to take on the responsibility themselves. Some choose a surviving spouse, children, friend, or relative to serve as trustee. Others find it more efficient and convenient to avail the services of a professional trustee to handle the day-to-day administrative duties involved. A trustee plays a critical role in the management of your trust’s assets. A trustee does not only follow the terms indicated in the trust agreement, but must also pay attention to all financial matters, and exercise good judgment to evaluate the needs of the beneficiaries. When selecting a trustee, take into consideration the complexity of the trust. Some trusts require a high level of expertise or a lot of time and effort on the part of the trustee, while other trusts are relatively straightforward and may not require much expertise or time.